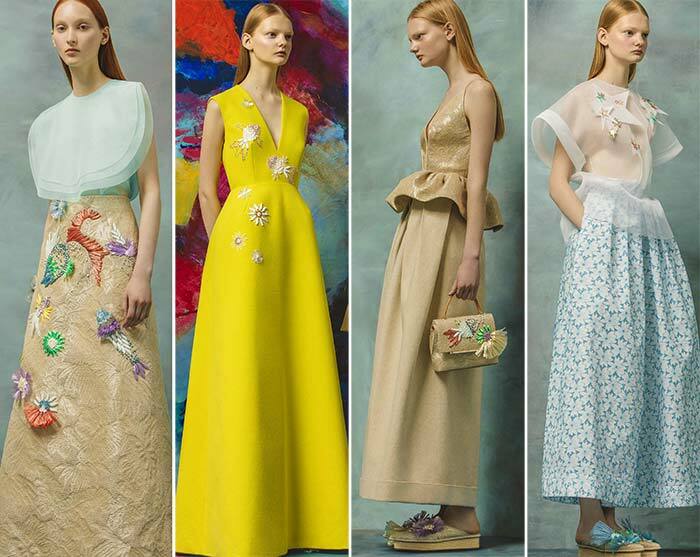 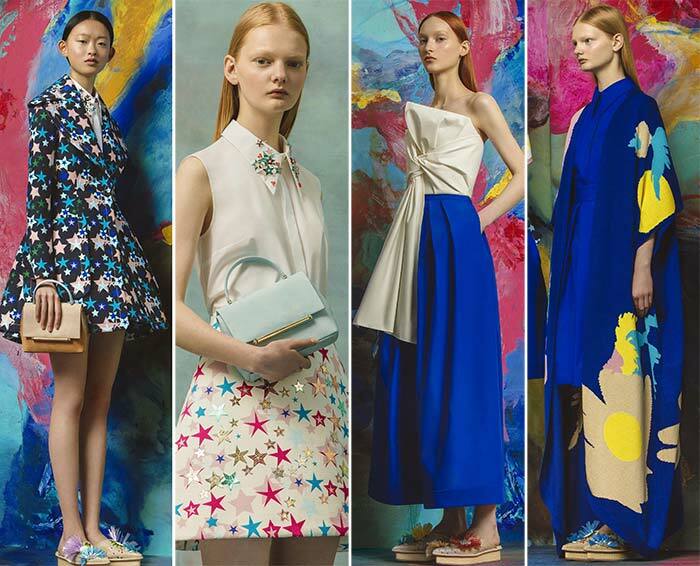 Fashion label Delpozo's 2017 Resort Collection is quite whimsical and dreamy, with bursts of artistic colours. 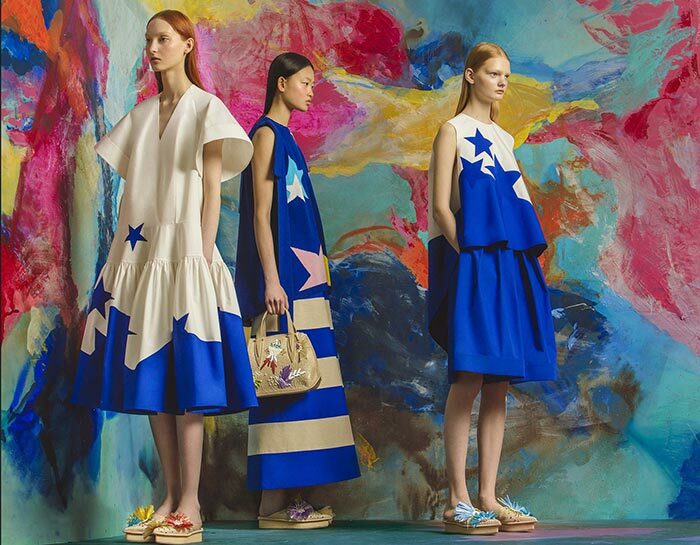 The label's creative director Josep Font took inspiration from artists George Méliès and Anthony Caro, brings bold and bright colours with a backdrop of abstract art. 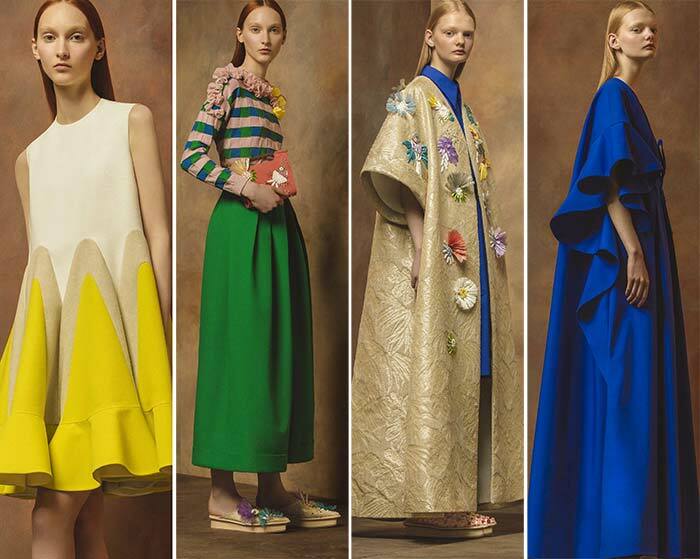 Delpozo also gets playful with starry patterns, stripes and 3D marine appliques, that speak of an interstellar and sci-fi influence too. 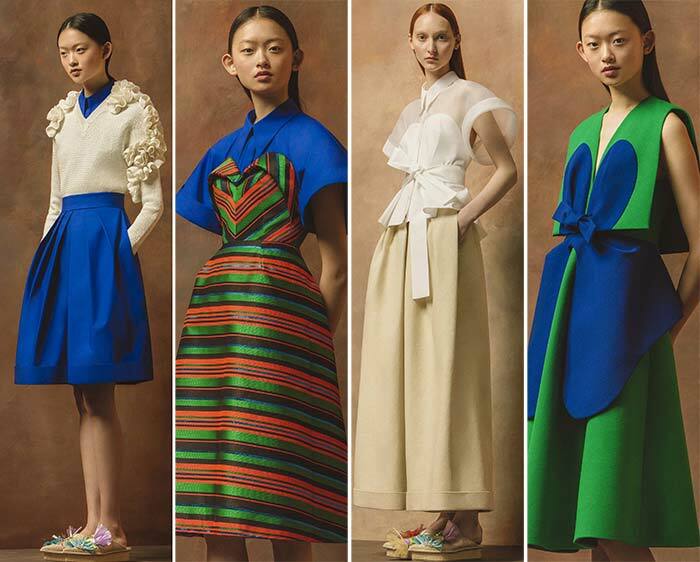 The collection plays with textures too, bringing sheer lightweight fabrics with voluminous and opulent ones, while contrasting motifs and colour-blocking plays a major part too. 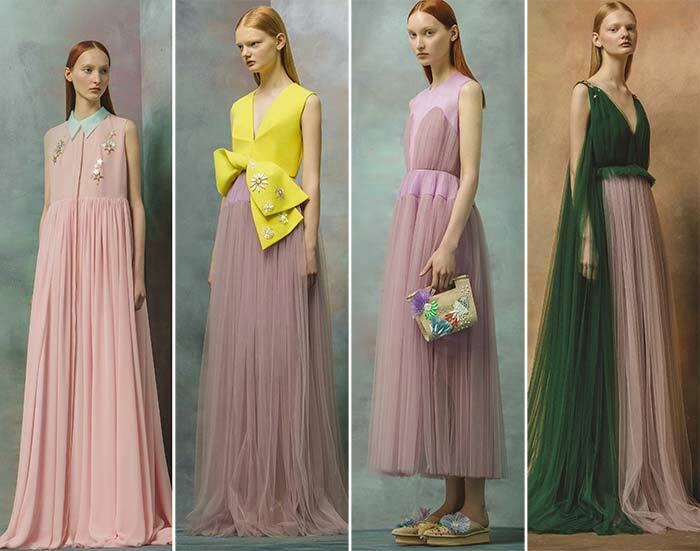 Ethereal collars, contrasting hemlines, balloon skirts, v-necklines, florals and structured details along with tulle, cotton, silk and jacquard make the collection a romantic and dreamy one.